Concentrated suspension of particles of the same size (3.0-3.4 µm) and 8 different fluorescence intensities, all excited by a blue light source, in aqueous solution. A dilution of this suspension serves to check sensitivity and resolution of a flow cytometer as well as linearity of the photomultiplier tubes in different channels. 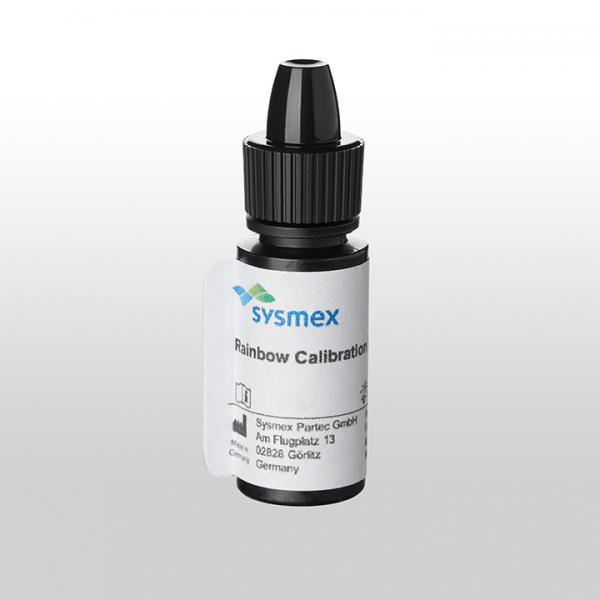 A dilution of the Rainbow Calibration Particles suspension can also be used for daily quality control with standard settings.